Part 1: Building Family Identity– Establishing a family identity in Christ as a foundation for your kids’ personal identities. 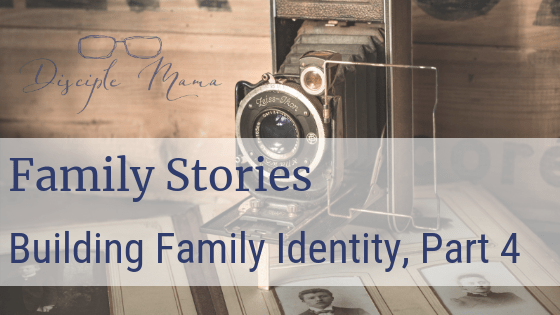 Family stories are very important for building family identity (and, therefore, personal identity), which is why they are the focus of my final post in this series. Today we’re going to talk about different ways you can share your family stories, even if you’re not a great storyteller! Load More...Follow me on Instagram!